Lillian specializes in corporate and commercial law, representing all development stages of Israeli, US and European high-tech companies. Lillian also works with some of Israel’s most prominent venture capital funds and their portfolio companies, and advises on business, financial, tax and intellectual property issues involved in establishing and growing businesses. Her counsel includes day-to-day management; private and venture capital financing; strategic alliances and joint ventures; technology and commercial transactions including OEM, distribution, reseller and VAR agreements; and M&A transactions in Israel and abroad. Lillian has extensive experience in the patent monetization field, where she regularly advises patent buyers, sellers and licensors on the intricacies of monetizing their IP rights. Lillian’s expertise in this field encompasses the full monetization life-cycle, from financing and sourcing of patents, through the patent acquisition process, and culminating with licensing and settlement arrangements. Lillian works with several of the world’s leading public and private patent licensing businesses. Prior to founding Shaked & Co., Lillian was a partner in the high-tech department of GKH, a large and well-known law firm in Tel Aviv. 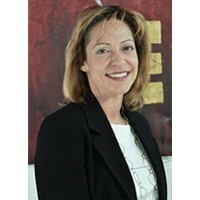 Before joining GKH, she was a partner in a large law firm in Ramat Gan. Lillian was raised in Ottawa, Canada.